ATX Pool and Spa Supply, LLC takes great pride in delivering Quality Service and Supplies to Pool and Spa Professionals. Established in 2009, our staff combines for over 75 years of experience in wholesale distribution of pool and spa related products. ATX is now carrying POOL TILE! 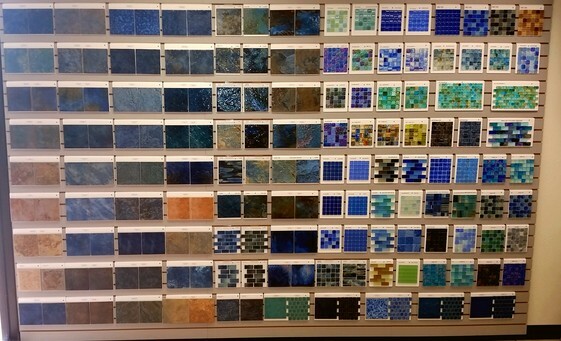 Come in and browse our showroom for design ideas! DON'T FORGET TO ACCESS THE ATX CATALOG FOR ALL YOUR WHOLE GOOD AND PARTS NEEDS. PARTS BREAKDOWNS FOR MOST ALL MAJOR EQUIPMENT AVAILABLE. SEARCHABLE pdf FORMAT!! Come in and pick up a copy for yourself. Username and password required for online access to catalog. Call ATX or email mmartin@atxpoolandspasupply.com to get access. ATX sells wholesale to the swimming pool/spa trade ONLY.